Dr. Joan E Quinn, MD is a Doctor primarily located in Elkhorn, NE. She has 28 years of experience. Her specialties include Family Medicine. She speaks English. Dr. Quinn has received 5 awards. The overall average patient rating of Dr. Joan E Quinn is Excellent. Dr. Joan E Quinn has been rated by 29 patients. From those 29 patients 4 of those left a comment along with their rating. The overall rating for Dr. Joan E Quinn is 4.6 of 5.0 stars. Dr Quinn is the best Doctor I have ever met. She is kind and takes time to talk to you and listen to your issues. Great personality. Makes me feel very comfortable. Staff is terrific also. Highly recommend . I couldn't be happier to have her as my primary doctor. She's very nice and professional. Did not feel rushed and took the time to try to understand my health and needs. I feel that I made an excellent choice! I went through three Doctors for my children before I found Dr. Quinn. From the first moment she was very attentive and easy to talk with. She calms my children and spends time with them. She makes a doctor visit painless. She isn't quick to scoot you out and checks all the problems and answers questions making you feel like the only patient she is seeing that day! I Would recommend Dr Quinn to anyone. I feel Dr. Quinn is very thorough in her diagnosis method and looks into every possibility to make sure she is making the right call on what is wrong with myself or my children. She has children of her own and understands the concerns a parent has in preventing and treating illness correctly in your children. Her bedside manner is comforting and gives you the confidence needed when dealing with important health issues. I would consider her the correct physician for any adult or child in this area. She is very intelligent, yet down to earth. You can understand what she tells you, and you know you are getting the attention you need to get better or stay well. I have had great Doctors before for my family, but Dr. Quinn has been by far the most outstanding. Take a minute to learn about Dr. Joan E Quinn, MD - Family Medicine in Elkhorn, NE, in this video. Dr. Joan E Quinn is similar to the following 4 Doctors near Elkhorn, NE. 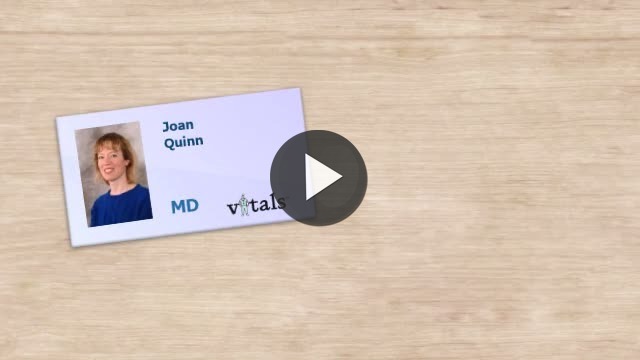 Have you had a recent visit with Dr. Joan E Quinn? Select a star to let us know how it was.